Bisti Badlands is an amazingly scenic and colorful expanse of undulating mounds and unusual eroded rocks covering 4,000 acres, hidden away in the high desert of the San Juan Basin. 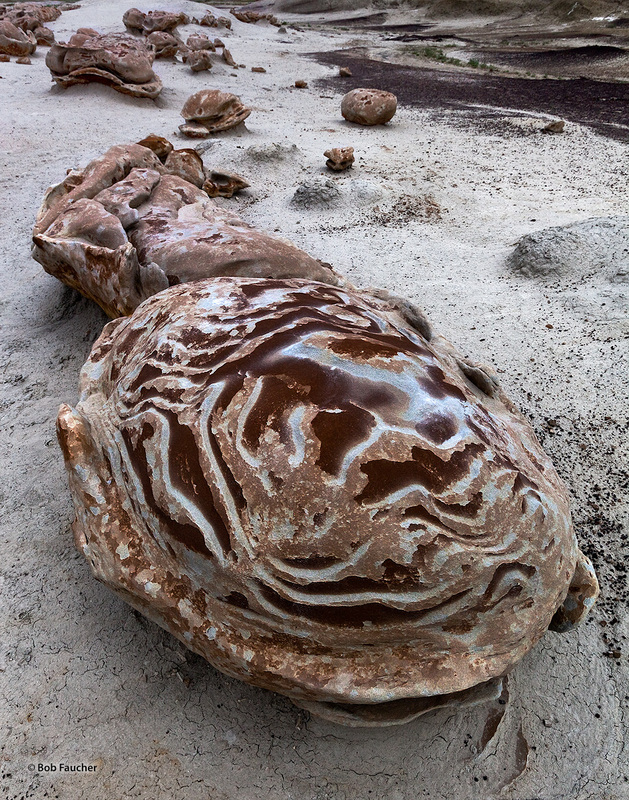 This formation within the Egg Factory looks like a whale approaching with its mouth slightly open. Photo © copyright by Robert Faucher.